By: Benjamin Snipes, Partner, Flott & Co.
An IC-DISC modifies the DISC structure by levying a small interest charge on the deferred income held within the IC-DISC. The most recent statistics published by the IRS in 2008 shows that out of the approximately 1,917 IC-DISCs, 86.1% of them were majority-owned by individuals, partnerships, trusts, estates, or S corporations; 11.7% were majority-owned by other corporations; and the remaining 2.2% reported no majority owner. http://www.irs.gov/pub/irs-soi/11cosumbulinterestcharge.pdf. In 2008, IC-DISCs reported $4.7B in qualified and non-qualified receipts, with $4.5B in deferred taxable income. US exporters benefit from IC-DISCs primarily in two ways: (1) by allowing indefinite deferral of taxation on qualified US export receipts subject to the interest charge, and (2) by allowing companies to both deduct payments to IC-DISCs and allowing that income be distributed to common shareholders of the exporting company and IC-DISC at the 15% qualified dividend rate. The second IC-DISC benefit effectively bypasses corporate level taxation on the IC-DISC income and allows for a single level of taxation at preferred individual dividend rates in the hands of individual shareholders. While the qualified dividend benefit may be reduced or eliminated with tax reform, the removal of the corporate level of taxation on the IC-DISC still creates a large benefit. Designing effective international expansion strategy. Economic slowdown in the U.S., media-hyped breakneck GDP growth of emerging markets, insatiable demand by the newly-minted global middle class consumer – these and other factors make international business expansion more compelling than ever. However, these factors are often counter-weighed by such staples of international business as strain on national infrastructures, rampant corruption, political unrest, mind-numbing bureaucracy and protectionism. So, how does corporate management weigh the pros and cons as they select priority markets for international expansion? There are several crucial elements that must be part of an effective international strategy design, and there are evaluation tools available to manufacturers and their representatives wishing to export their wares, to direct investors seeking to set up foreign operations and for franchisors seeking to find the most attractive markets for international expansion. Each group looking to foreign markets also has its individual factors, which should be monitored closely. For Direct Investors, factors include the ease (or lack thereof) of setting up and running a business in the chosen market, availability of qualified labor and/or distributors, ability to freely convert currency and lack of restrictions on land or property ownership. For Franchisors, they must consider the ability to adapt their concept into the market with minimum conversion, the ability to find qualified franchisees, availability of favorable franchise legislation, ability to protect against copycats, contingent foreign resources necessary to create a viable recognizable brand and critical mass in the chosen market. These considerations are, by no means, all-inclusive, yet they offer a good sampling of the ingredients that must go into the international strategy evaluation and design process. How should an organization approach international market expansion? Commit, screen, research, evaluate, cast for partners, re-commit, pull the trigger, train, monitor and learn. Oh, did I mention commit? Commit: An organization’s commitment to international expansion is the second most important factor for success after selecting the right local partner. Commitment needs to be total, from the management suite through the administrative pool and down to the shipping dock. The organization’s ranks of legal, banking, insurance and accounting professionals must be augmented by international experts. Screen: There are about 180 countries worth looking at. Several screening tools exist to narrow down the choices for further research. World Bank publishes annual “Ease of Doing Business”® rankings on 183 nations, measuring a number of factors and then comparing each country relative to its peers. Transparency International® rates 183 countries on the level of internal corruption. Fluent In Foreign™ developed proprietary forward-looking FI3 indices™, which measure individual nations’ appeal for exporters, investors and franchisors. These indices are named FI3e™, FI3i™ and FI3f™ respectively, and take into account projected GDP growth, income per capita, literacy rates, currency strength, corruption, availability of U.S. government financing and political risk insurance. Simply choosing media-hyped markets such as BRIC countries may be a costly mistake. Despite their huge populations and the breakneck growth rates of these countries, market entry windows for many segments have likely disappeared or have become extremely competitive with potential rewards not justifying the effort and investment. Research: Once a list of potential markets has been identified, research each market in-depth using online tools from the U.S. Commercial Service, State Department, local investment promotion agencies and direct contact with the target country’s Commercial Attaches, representatives of the local Chamber of Commerce Chapter (AMCHAM), as well as any professional or personal contacts with experience in the prospective market. During this phase you need to find out how fertile the prospective country is for your company’s product or service, what are the macro issues/risks/problems and the country’s current suitability for market entry. Evaluate: Once the screening and research phases are complete, senior managers and the folks charged with international business development should organize brief trade mission like visits to the top three to five markets identified during research. The purpose of these missions is to explore the competitive landscape, understand realistic picture of what it takes to do business, establish contacts with government officials and key potential clients, cast search for potential country managers, distribution partners or franchisees. A five to seven-day visit per country should provide sufficient basis for decision-making. U.S. Commercial Service or Fluent In Foreign can help organize such trade missions and set up appropriate meetings. Re-Commit: Once the decision is made to enter specific markets, the organization must indeed commit sufficient human and financial resources to make such market entry a success. A market entry plan should be drafted and local contacts and professionals deployed to identify potential local partners (managers, distributors, manufacturers or franchisers). Regular trips to the target country should be undertaken every four to six weeks. Hire local attorneys and other professionals. Start developing support infrastructure such as drivers, interpreters, lodging, etc. Such a support net is invaluable in emerging markets and is a necessity rather than a luxury. Once partners and local professionals are identified and selected, involve them in the set-up process by delegating most of the local tasks to them, but do stay involved and monitor the process. Explore putting Political Risk Insurance in place along with FCPA, and Patriot Act compliance policy. Train: Once the basic set up of operations is complete, establish initial and ongoing training. This is arguably the most important part of the market entry process. Training should be two-way. The personnel in the target country should undergo training on corporate values and culture, products, service, sales, FCPA, available financing for customers and safeguarding the corporate brand name. The U.S. corporate personnel should be trained on the country’s culture, customs, business etiquette and interaction with personnel in that nation. Training should be an ongoing exercise and viewed as an integral part of the foreign expansion. Monitor: Nothing ever goes smoothly in the process of taking a company’s operations abroad. Careful monitoring procedures should be established, supported by long-term commitment and buy-in of management at headquarters. Management must be willing to read market signals, analyze them in real time and adjust tactics and sometimes amend the strategy. Foreign markets, especially those in the Emerging or Frontier categories, often move much faster in certain aspects and painfully slower in many others. So it is important that headquarters management realizes different time cycles and adjusts performance expectations accordingly. By breaking down the international expansion process into several clearly defined steps, a company can maximize its chances for success and avoid a costly mistake. Yesterday’s proposal by the White House to consolidate six trade and commerce agencies provoked a very mixed reaction from my private sector colleagues and me, as for at least a decade, we have routinely and closely worked with all the agencies slated for the proposed merger. On one hand, improving efficiency of any government agency is always a plus and despite being fairly effective, our country’s trade and commerce agencies can certainly use improvement. On the other hand, due to the proposal’s highly political nature and its unwillingness to undertake real job cuts and streamline operations for agencies of disparate sizes and different missions, such a combination risks to undermine and destroy whatever positive results our nation’s trade and investment agencies produce. First let’s take a cursory look at the six agencies, which the President proposes to merge. USTDA (U.S. Trade and Development Agency) – its mission is to stimulate U.S. exports by funding feasibility studies for projects, which have significant potential for utilization of U.S. goods and services. It also funds reverse trade missions to expose foreign buyers to the American manufacturers and service providers. It is the smallest Agency of the of the group, with a total operating budget of less than $100 million. It has less than 100 people covering the entire globe and overall is fairly effective in performing its mission. It produces $47 of exports for every dollar it expends. OPIC (Overseas Private Investment Corporation) – a small and highly effective agency of the U.S. government whose mission is to aid international development. OPIC provides project financing to projects with significant U.S. involvement and political risk insurance to U.S Investors setting up operations overseas. OPIC’s staff numbers 200, covers 150 countries, and the agency provides net contributions (earnings) into the U.S. Treasury. Due to its significant foreign policy development slant, OPIC, if anything, may be better suitable for merger with the State Department and not the Department of Commerce. U.S. Export-Import Bank – an official export credit agency of the United States, Ex-Im Bank employs 400 people and provides financing and credit insurance for over $20 billion of U.S. exports annually. The Agency also generates surplus and is a net contributor to the overall budget. Ex-Im’s underlying focus is jobs and it is subject to strong Congressional oversight and OECD guidelines, which make its operating practices similar to those of other ECA’s in industrial countries. Ex-Im’s operations could use some restructuring and streamlining to accommodate our country’s growing need for export financing, but over all it is fairly effective in performing its mission as a standalone agency. Small Business Administration, or SBA as it is more commonly known, is a mid-size agency of about 4,000 employees focused primarily on financing domestic small businesses through its loan guarantee programs. It is a highly bureaucratic organization, which has a wide footprint of banks across the country who act as its delegated authority domestic lenders. The Agency has a very small and very little known program financing exports, which almost seems like an apendage to its vast domestic lending practice. Other than the relatively unknown international program, there is virtually no intersection between the above three internationally focused agencies and the SBA. The Office of the United States Trade Representative (USTR) is the agency responsible for developing and recommending U.S. trade policy to the President , conducting trade negotiations at bilateral and multilateral levels, and coordinating trade policy within the government through the interagency Trade Policy Staff Committee (TPSC) and Trade Policy Review Group (TPRG). As a small 200 person agency, it looks to level the playing field in the international trade arena. Department of Commerce (DOC)– an 800 pound gorilla of the proposed merger with over 43,000 employees. This Department showcases a full force of the vast Federal bureacracy. Comprised of hundreds of departments focused on a multitude of issues from exports to imports to inward foreign investments to patent and trademark protection to standards, economic analysis and much more. This Department is so vast that if any consolidation is not done properly, the smaller, more effective agencies will simply be swallowed into the abyss of the federal bureaucracy and become invisible departments insulated both from the constituents they serve, and from the lawmakers who provide much needed funding to help these agencies achieve their goals. There are two fundamental problems with the proposed merger – since it is being proposed on “as is” basis with politics precluding any serious shake up and job cuts as part of the consolidation, what we risk to end up with is all the inefficiencies and complacency of each agency mixed together into an unwieldy and toxic cocktail of impotent organizational culture. This environment not only will not produce any tangible benefits, but will stifle any existing productivity and effectiveness, which currently exists throughout all the other above mentioned agencies. Any of the so-called future savings will be negated by the lost revenues, consolidation expenses, and degraded morale of the Agency personnel. If we want to save jobs by attrition, we do not need to merge the agencies. We can review operations of the agencies and earmark certain cuts to make operations more cost-effective. In the process, each agency can induce people whose performance is not up to par to retire or leave, thus producing tangible attrition related savings even without benefits of consolidation. The second problem is focus. Agencies focused on international trade and development have totally different mission, organizational culture and work methodology than those focused on domestic issues. Thus there is zero benefit of lumping together say USTDA with USPTO. What may make sense is reorganizing the agencies according to their business focus. The Department of Commerce may absorb SBA, which should shed its lone international program and focus solely on domestic operations. In order to compete in a rapidly changing global environment, U.S. Commercial Service should be spun out as a cornerstone of the Government’s International Trade and Investment policy. Then a very thorough analysis performed on whether U.S. Ex-Im, USTDA, OPIC and USTR would benefit from being combined into a single entity under the umbrella of the U.S. Commercial Service, or maybe they should just be left alone or combined by themselves, as has been done in numerous countries. Yet again, any such combination must take place only after the operations of each agency have been carefully reviewed and streamlined to make them lean and more efficient. Otherwise we risk to end up with what computer programmers call GIGO (garbage in, garbage out). It is unfortunate that political rhetoric and election year strategies hastily try to offer populist fixes aimed at garnering votes, but fail to offer substantive, courageous restructuring steps designed to really improve the way our nation’s domestic and international commerce functions and our country competes in the global economy. The article below provides some additional background on the issue. Please enjoy and I welcome your comments. WASHINGTON—President Barack Obama proposed consolidating six trade and commerce agencies, drawing cautious praise from congressional Republicans and business groups, though business expressed concern that some of their favored advocates in Washington would lose clout. As part of his proposal, which requires congressional approval, Mr. Obama would merge the Commerce Department’s core business-related functions with five smaller agencies: the Small Business Administration, the Office of the U.S. Trade Representative, the Export-Import Bank, the Overseas Private Investment Corporation and the Trade and Development Agency. Mr. Obama said the consolidation would make it easier for business to navigate the federal bureaucracy, putting several agencies whose primary goal is the promotion of U.S. business, both at home and abroad, under one roof. In this case, “six isn’t better than one,” Mr. Obama said at the White House. Congressional GOP leaders said the proposal had potential. “Eliminating duplicative programs and making the federal government more simple, streamlined and business-friendly is always an idea worth exploring,” said Brendan Buck, spokesman for House Speaker John Boehner, an Ohio Republican. Bloomberg News President Obama speaking about the size of government on Friday. But others in Congress and major business groups said they had particular concerns about folding the U.S. trade representative into a larger department, on the grounds that it would lose the clout and freedom that comes with an independent agency. The USTR negotiates trade deals and eases the way for U.S. commerce overseas. “Taking USTR, one of the most efficient agencies that is a model of how government can and should work, and making it just another corner of a new bureaucratic behemoth would hurt American exports and hinder American job creation,” House Ways and Means Chairman Dave Camp (R., Mich.) and Senate Finance Committee Chairman Max Baucus (D., Mont.) said in a joint written statement. John Murphy, vice president for international affairs at the U.S. Chamber of Commerce, echoed that sentiment, saying the consolidation “makes sense” while questioning whether the USTR should be included in the shuffle. In an effort to answer those concerns, the White House said the trade representative would stay a Cabinet-level post. Officials pointed to a similar arrangement whereby the U.S. ambassador to the United Nations reports to both the Secretary of State and to the president. The White House argued that the USTR will have access to more government resources and expertise by being housed with similar agencies and that the change will create a more effective agency. The move also gives Mr. Obama room to argue he is tackling a core concern of voters—the size of the federal government—as well as focusing on jobs. 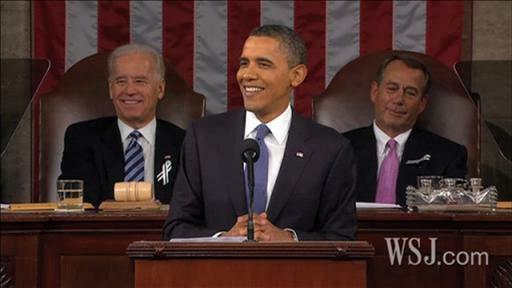 It fixes a bureaucratic oddity Mr. Obama cited when he first suggested the change in his 2011 State of the Union speech. Salmon, he noted, was regulated in one agency when in salt water and another when in fresh water. The reorganization would put all federal salmon regulation into the Interior Department. President Barack Obama said Friday that he will exercise his executive authority to elevate the head of the U.S. Small Business Administration to a cabinet-level position, Emily Maltby reports on Lunch Break. Photo: Getty Images. Todd McCracken, president of National Small Business Association, a trade group in Washington, D.C., said some programs used by smaller companies, such as targeted lending programs, might be less responsive as part of a larger bureaucracy. “It really needs to have regular small business input and the bigger the bureaucracy, the harder that is to accomplish,” he said. Environmental groups objected to shifting the National Oceanic and Atmospheric Administration from the Commerce Department to the Interior Department, on the grounds that Interior is focused mostly on extracting natural resources. NOAA, the largest part of the Commerce Department, houses the National Weather Service among other functions. The debate about where it should go was one cause of the yearlong delay in completing the proposal. 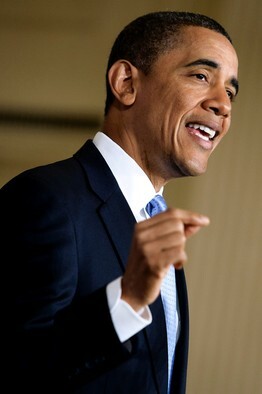 In his 2011 State of the Union Address President Obama addressed the issue of making the government more competent and efficient by listing targets for an overhaul of federal bureaucracy pointing out that a dozen different agencies deal with exports and at least five with housing. David Goldston, director of government affairs at the Natural Resources Defense Council, said his group would lobby against the change for fear that Interior’s culture would overwhelm NOAA’s. The president requested that Congress guarantee an up-or-down vote within 90 days on any consolidation he proposes that would save money and reduce the size of government. He said he would use the authority for a series of consolidations starting with the trade agencies. The plan is based on authority in place for decades until it lapsed in 1984. Some lawmakers and congressional aides signaled they were uncomfortable with the fast-track authority. Congress is traditionally unwilling to cede the power to shape details of important legislation. With the overall proposal pending, Mr. Obama said he would immediately elevate the head of the Small Business Administration to a Cabinet-level post. He can do this without congressional approval. Officials said that in the merger 1,000 to 2,000 jobs would be cut through attrition. They estimated it would save $3 billion over a decade. entitle him to an up-or-down vote from Congress in 90 days. approve any of his specific ideas. anonymity ahead of the president’s event. bureaucracy – but that’s hardly all of it. last State of the Union speech. That was nearly a year ago. who control the House and can halt votes in the Senate. people routinely leave their jobs over time. human resources divisions and programs. during Reagan’s presidency in 1984. Dear Readers, I wish you all a Happy New Year and I hope all of you had a fantastic holiday season! In this post, I would like to outline what’s ahead for the Fluent In Foreign™ organization this year and kick the off the first issue of 2012 with couple of interesting topics: the first one is about a country dealing with growing pains, the second talks about how American airlines are desperately trying to remain competitive by sabotaging U.S. exports. Last year was a very successful one for the Fluent In Foreign™ platform. In 2011, our readership base has exceeded 350,000 as many articles appeared in national publications including Industry Today, Business Finance, The Wharton Magazine Blog, The New York Enterprise Report and Industry Week. Along with our colleagues from the Princeton Council on World Affairs, we hosted or appeared at several major events in New York, Washington and Boca Raton, Fla. My book, Fluent In Foreign Business™, was released in May and has gathered critical acclaim most notably from Governor Perdue of North Carolina, Governor Christie of New Jersey, Fmr. Governor Rendell of Pennsylvania, Congressman Myrick of North Carolina and Senator Alexander of Tennesee. I thank every one of you who has purchased the book and all who supported this blog and attended our events. 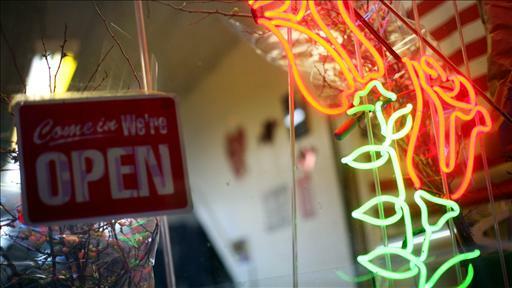 This new year is shaping to be extremely busy for the Fluent In Foreign franchise. In the first quarter of 2012 we will be introducing our proprietary FI3 ™ indices. These indices will measure market attractiveness of 180 countries for exporters, direct investors and franchisors. Based on a wide variety of economic, political and business variables, these indices are forward looking and have a 3-5 year predictive horizon. Indices will be included in our proprietary country profiles described below and available to our Clients. 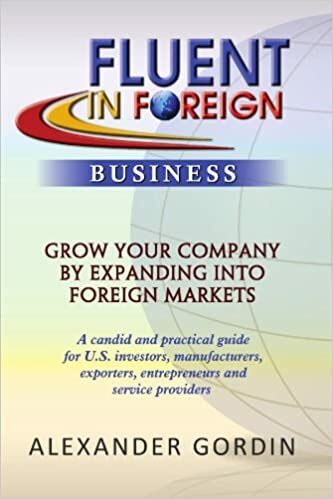 In May, Fluent In Foreign™ will also publish A Complete Business Reference Guide to 180 Countries™. Using the latest country information from various government and international NGO sources, combined with Fluent in Foreign’s expert analysis, we have developed a full set of unique country profiles, which will be available both online to Fluent In Foreign subscribers and in paperback version. This useful and unique advertiser-supported 1,200 page reference tool will be provided to the international business community throughout the world. We are currently in the final development stages of the first phase of the www.FluentInForeign.com website. Scheduled to go live February 1st, the website will serve as a platform for franchisors, exporters and investors wishing to launch or expand their international operations. Through our proprietary D.I.C.E. & Finance™ (Develop, Insure, Comply, Educate, & Finance) methodology, our clients will be able to obtain a full range of services from educating themselves on various foreign expansion issues to actually retaining world-class professionals to assist them in entering foreign markets and growing their business there, while mitigating risks and complying with applicable laws. The second phase of the website, which will have additional tools to allow for self-education, certification of international third party service providers and interactive event management, is set to go live May 1st. A second edition of the Fluent In Foreign Business™ book will be released next September, while a second book – Fluent In Foreign Franchising™ – is in development for release next year. Fluent in Foreign will be participating in the International Franchise Show in New York in June and we will be hosting three events this year. Additionally, I will be speaking at several conferences and U.S. Commercial Service/Pan Asean Chamber of Commerce events. Please watch for upcoming announcements. So as you see, we have a lot going on this year and we certainly welcome assistance from our readers, partners and clients. We are currently seeking blog contributors to write on international business expansion issues and cover topics on political risk, international liability and export credit insurance, FCPA, international IP Protection and cross cultural faux pas. We also welcome your comments on issues covered in our posts, or topics you would like to see included in the Fluent In Foreign Blog. If your company is interested in participating as an advertiser or sponsor for the above mentioned Country Reference Guide, please email Ruth Sigalus at rsigalus@broadstreetcap.com for the complete info package. Once again, thank you for your support and Best Wishes for the New Year! We kick this year off opining on two topics which were well-highlighted by the recent WSJ articles. The first deals with growing pains experienced by many fast-growing countries, in this case Ghana. Although rapid economic development in emerging and frontier markets is one of the brightest spots on our weak global economic landscape, success often comes at a steep price. Straining infrastructure, pressure on local currencies, and inflation all curb or even cripple the much needed growth and necessitate very precise and decisive actions by local politicians and business owners, lest such welcome growth turn into nightmare. Please enjoy the article below, which further highlights this issue. Our second topic is a bit more highly charged. It deals with weak, uncompetitive and drowning entities pulling down the strong and productive. In past issues of this blog, we’ve discussed how unions prevented Boeing from setting up a cost-competitive Carolina plant and how multiple Trade Agreements, worth billions of dollars annually to U.S. exporters, were stuck in Congress for years – held hostage to a politically motivated TIA retraining bill. Today’s second set of articles articles deals with U.S. airlines and their lobbying organization Air Transport Association of America Inc., now called Airlines for America holding hostage additional funding authorization for the U.S. Ex-Im bank. It is one of the most appalling things I have seen. (For the record, I am a loyal Delta Frequent Flier.) Not only are these bloated, uncompetitive, often insolvent airlines, which at best provide average service, unwilling to address their cost issues, negotiate more cos- competitive compensation and pension arrangements with their unions and learn to provide better service, but they seek to subvert one of the few successful economic growth engines in the U.S. – The Export- Import Bank. Their argument is that by subsidizing U.S. airplane and engine sales to foreign airlines, the U.S. Ex-Im enables those airlines to be more competitive. THAT IS THE MOST ABSURD THING I HAVE HEARD! Every other developed and developing country provides subsidized financing for their aircraft- related exports through their respective Export Credit Agency (ECA). So if Ex-Im will not provide financing for Boeing or GE, Europeans will provide additional financing for Airbus, Rolls Royce, or Dassault. Russians will provide financing for Antonov or Ilyshin and Chinese will provide financing for their emerging airline manufacturers. Foreign airlines will get still their planes and the U.S. will lose thousands of manufacturing and engineering jobs courtesy of U.S. airlines. I am not terribly concerned with the issue of financing ceiling raised in the article. U.S. Ex-Im still has lending room, as some of the authorized capacity is contingent and has not and will never be disbursed. I am also sure that when the time comes, the lending limit will be raised. However, the fact that our politicians even allow such pressure to be exerted by the airlines, rather than forcing them to become more globally competitive, is disheartening. Airing this in the press also portrays U.S. airlines as weak to their global competitors. Air India’s U.S. Bank Loan Guarantees Unlawful, Groups Argue. What is happening at Guinness illustrates the conundrum of Ghana, a west African nation whose runaway prosperity is both enriching and suffocating its capital, Accra.In 2011, Ghana’s economy is forecast to grow 13.5%, a clip that exceeds every other country in the world except Qatar, according to the International Monetary Fund. Big oil finds pumped growth beyond 2010’s 7.7%.As growth stagnates in the U.S. and Europe, Ghana’s robust multiparty democracy has turned its capital into a hub for companies chasing business—on a continent that grew 5.5% this year, according to the IMF. Other things have gone Ghana’s way, too. As leading cacao producer Ivory Coast descended into civil conflict this year, Ghana stepped up production of the chocolate ingredient. For the first time, Ghana farmed one million tons of cacao, as the cash crop hit a 32-year high on London markets.Ghana’s growth has made the nation of 24 million Africa’s newest middle-income country, joining Namibia, Botswana and South Africa. Nigeria will soon join them, economists forecast.It has been a noisy transition. In Accra, drivers in newly purchased Toyotas and Peugeots honk in traffic and blare gospel music. The number of passenger sedans on Accra’s roads has doubled in the past ten years, and the number of motorcycles has tripled, according to Ghana’s government figures. Vehicles crowding narrow roads have squeezed pedestrians onto tight sidewalks.In September, chicken chain KFC opened a three-story restaurant in downtown Accra.Google Inc., IBM Corp., and Cargill Inc. have set up offices in the country. 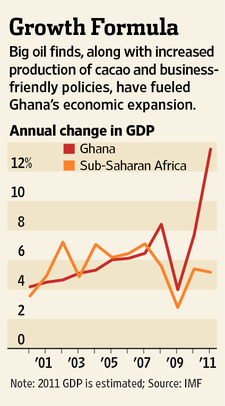 In the first nine months of 2011, Ghana attracted $4.23 billion in foreign direct investment, tripling last year’s rate.But Ghana’s bottlenecks are curbing what economists say could be even faster growth, offering lessons for other African countries that may follow a similar path of development.”Yes, growth numbers look wonderful and everyone thinks, wow, especially in this environment,” said Johannesburg-based economist Yvonne Mhango of Renaissance Capital. “However, that growth comes with an increased burden on existing infrastructure.”Accra, a former British colonial city, was built in the early 20th century for just 500,000 residents. It now accommodates 4 million. Members of Congress may have reached a holiday truce on government funding, but their latest spending agreement leaves unfinished a bitter lobbying battle between two groups of the nation’s biggest corporations: exporters and airlines. The congressional spending deal reached late last week leaves unchanged through May the current $100 billion lending limit on the U.S. Export-Import Bank, which provides loan guarantees to foreign buyers of American products, from jetliners to hair-care products. With $90 billion in commitments, the bank is expected to hit the cap on outstanding loan guarantees in the first months of next year, which would effectively halt its activity. Boeing Co. and General Electric Co. are among dozens of major exporters urging Congress to raise the limit to $140 billion, but some U.S. air carriers oppose the move, arguing that the bank’s lending subsidizes their foreign competitors. 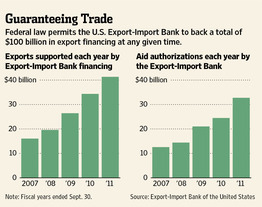 The exporters say the Ex-Im Bank, which dates back to the Great Depression, has helped boost business and U.S. jobs during the fragilde recovery by guaranteeing billions of dollars in global deals that otherwise wouldn’t go through. The bank facilitated the purchase of $41 billion in U.S. products in the year ended Sept. 30. Both sides in the debate say they are seeking to protect U.S. jobs. Delta Air Lines Inc. and other U.S. airlines oppose raising the Ex-Im Bank’s lending cap, saying its aid to foreign airlines puts U.S. carriers at a disadvantage. Delta declined to comment but referred questions to Airlines for America, the industry’s main trade group, formerly known as the Air Transport Association. The group has sued to block a deal that would provide loan guarantees of more than $3.4 billion for state-owned Air India to purchase Boeing aircraft. “We support the goal of expanding U.S. exports, but not at the expense of U.S. companies and U.S. jobs,” Airlines for America said in a statement. The airlines won the latest round with the spending bill approved last week. But the fight is set to continue into the new year. A senior House Democratic aide said it was “untenable” to include in last week’s spending deal a provision to raise the bank’s lending limit as part of a multiyear funding plan for the bank. But the aide said the short-term measure “should put enough pressure” on Congress to pass a long-term plan for the bank in the next few months. Proponents of the bank note that raising its lending limit would not add to the budget deficit because the institution is self-supporting and even makes money for taxpayers by collecting interest and fees paid by users. The Congressional Budget Office estimates that a Senate bill to raise the bank’s lending limit to $140 billion would result in $900 million in taxpayer savings between 2012 and 2016. But critics argue the bank’s aid is a form of corporate welfare and exposes taxpayers to risk. Those pushing for higher lending by the bank have accused congressional Republicans of resisting either for ideological reasons or to improve their bargaining position on other measures. Representatives of House Speaker John Boehner (R., Ohio) and House Majority Leader Eric Cantor (R., Va.) didn’t respond to requests for comment. The Obama administration also supports raising the bank’s lending limit. 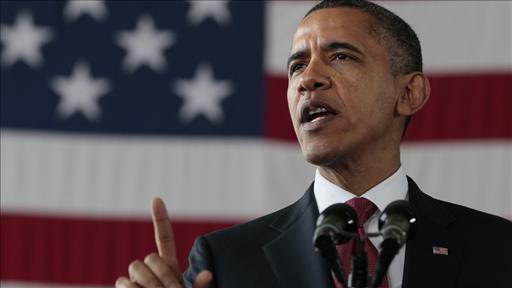 Mr. Obama has touted the bank as a vital tool in pursuing his goal of doubling U.S. exports by 2015. During his trip to Indonesia last month, he credited the Ex-Im Bank and other administration officials with playing a “critical” role in facilitating the planned purchase of 230 Boeing jets by Lion Air, a Jakarta-based airline. “The longer Ex-Im re-authorization remains unresolved the more uncertainty it creates around U.S. companies’ ability to compete in the global marketplace,” Fred P. Hochberg, the bank’s chairman and president, and an Obama appointee, said in a statement. Boeing declined to comment. GE referred questions to the Coalition for Employment Through Exports, which represents Boeing, GE, Caterpillar Inc. and other major exporters. John Hardy Jr., president of the group, said that failing to raise the bank’s lending cap would jeopardize deals in the pipeline and risk sending potential customers of U.S. products to competitors overseas. “The bottom line is this is a jobs bill,” Mr. Hardy said. Jan. 6 (Bloomberg) — U.S. pilots and airlines asked a federal judge to stop the Export-Import Bank of the United States from giving Air India $1.3 billion in loan guarantees to buy Boeing Co. aircraft. U.S. District Judge James Boasberg in Washington today heard arguments by trade associations for the largest U.S. airlines and pilots requesting that he block the guarantees while he considers their legal challenge. Boasberg said he would rule on the request by Jan. 13, three days before Boeing is scheduled to deliver one of its aircraft to Air India. “It’s highly likely that Air India will put these airliners on routes in competition with American airlines and records show zero jobs would be created,” Robert Bailey, a lawyer for the Air Line Pilots Association, told the judge. The Air Transport Association of America Inc., now called Airlines for America, filed the lawsuit in November claiming the bank didn’t seek public comments or consider the impact on the U.S. airline industry before approving $1.3 billion in loan guarantees and $2.1 billion in preliminary commitments to support the sale of 30 Boeing aircraft to Air India. Air India is getting “access to the very best planes in the world at a subsidized rate,” Michael Kellogg, a lawyer for the Air Transport Association, told the judge. The groups asked the court to find the loan-guarantee commitments unlawful, to prevent them from being issued and to require the Export-Import Bank to study the guarantee’s potential impact on U.S. industry and jobs. The Export-Import Bank is a federal agency that provides loans, loan guarantees and insurance to foreign companies. According to the lawsuit, the bank’s loan portfolio is “overwhelmingly devoted” to financing the purchase of airplanes for export. In fiscal year 2010, air transportation loans accounted for 47 percent of the bank’s $75.2 billion in total outstanding loans, the lawsuit claims. The Air Line Pilots Association intervened in the lawsuit in the airlines behalf. The bank argued that the association lacks any legal basis to challenge the loan commitments and that blocking the commitments would be disastrous for the 77-year institution. “It would send a signal to the market that it could no longer rely on Ex-Im as a guarantor,” Ian Gershengorn, deputy assistant attorney general in the Justice Department’s civil division, told the judge. If the Export-Import Bank didn’t guarantee the Air India loans, the airline would have sought financing elsewhere and purchased aircraft from Airbus, the world’s largest passenger- jet maker, Gershengorn said. “Boeing was awarded a contract of $5 billion with Air India in large part because of efforts by the bank,” he said. Gershengorn argued that Congress gave the bank wide discretion to operate much like a commercial bank. He also noted that several of the trade group’s largest members, such as United Air Lines Inc., Continental Airlines Inc., American Airlines Inc., Atlas Air Inc., Federal Express Corp. and United Parcel Service Inc., didn’t join the lawsuit. Chicago-based Boeing isn’t a party in the case. The case is Air Transport Association of America Inc. v. Export-Import Bank of the United States, 11-cv-2024, U.S. District Court, District of Columbia (Washington).